As I sit here typing this, the snow if falling outside and my children are bundled up as they sled and laugh. Although it is not typical, I actually love winter. I do not like the heat of summer, but I love cool feel of winter air on my cheeks and the chance to curl up under a warm blanket. It feels so cozy. And, the best of all is a snow day like today. There is something about snow. It's the anticipation leading up to it. Will it snow? How much? Will we get that call telling us school is cancelled? The watching and waiting. Then, when it arrives, it is joy and happiness. It is the smiles on children's faces and wonder as they look out the window (even though my kids are not so little anymore.) It is peaceful and serene. A reminder of the beauty and magnificence of God's creation. 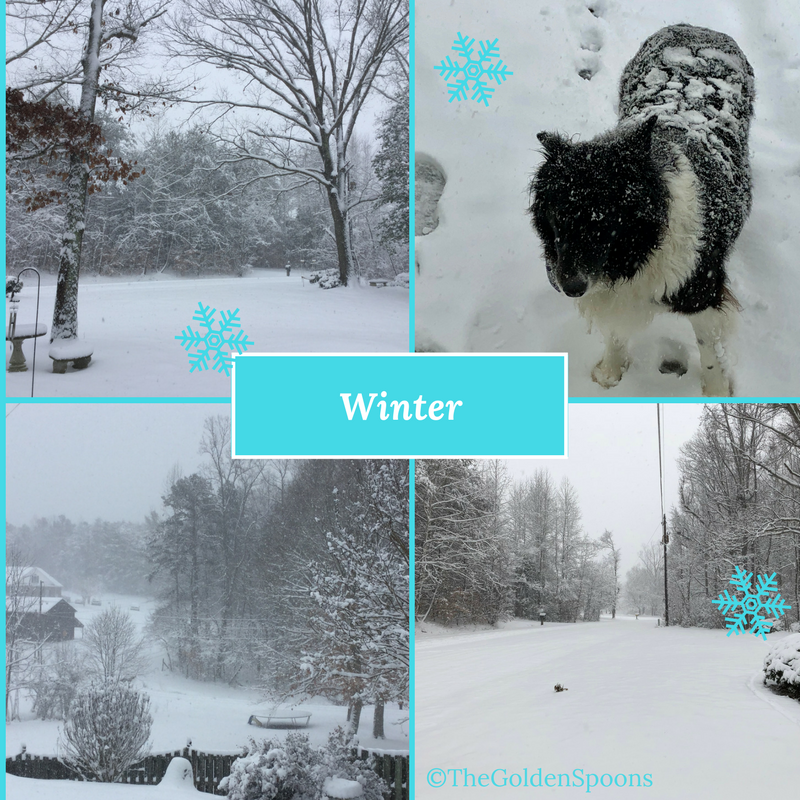 I'm not sure that I would want winter to last all year long, but I will not be ashamed to call it my favorite season of the year. And, on snow days like today, I will soak in all the beauty; all the joy; all the hope realized. Do you like winter? Did you get any snow where you live? I am a mom to three beautiful daughters, wife to a wonderful husband, and owner of a crazy border collie. I blog to record memories for my family and to share the joys, frustrations, laughter, and chaos of motherhood! Copyright © 2014 Lisa Witherspoon/The Golden Spoons. Awesome Inc. theme. Powered by Blogger.